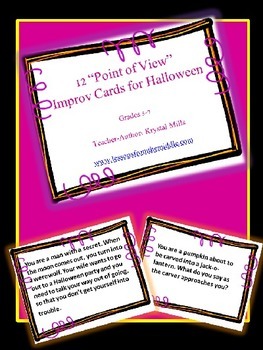 This download contains 12 point of view improv cards, each with a Halloween theme, to engage your students. 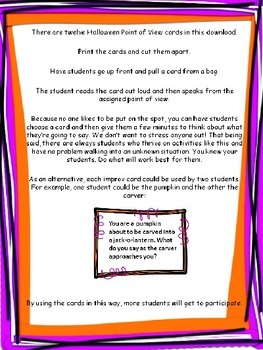 Students will love speaking from unique points of view with this fun improv activity. 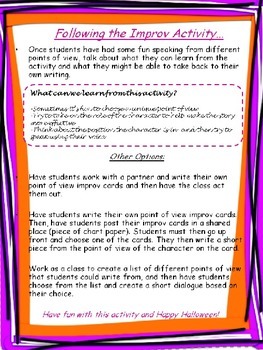 Through completing this activity, they'll develop more of an understanding of what it means to write from different points of view. Hopefully they will then take this back into their own writing! 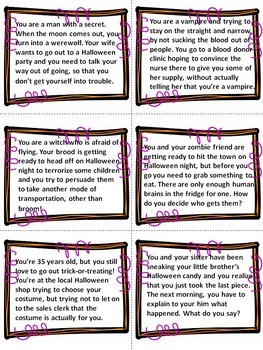 It's a fun, interactive activity to do closer to Halloween.